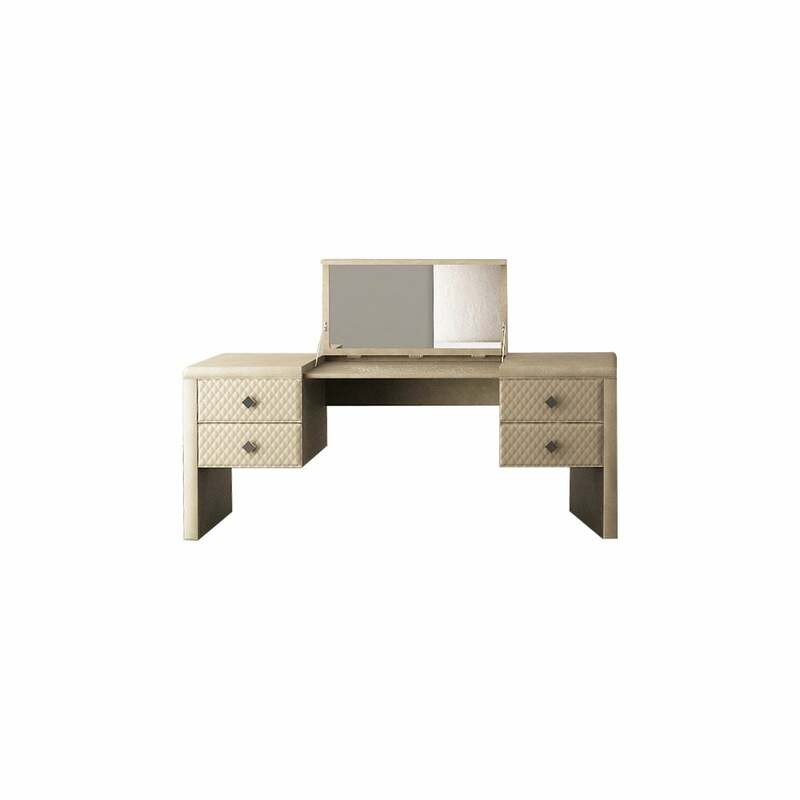 The Reko 4 Dressing Table by Rugiano Interiors exudes Italian elegance. Bringing a touch of glamour to any bedroom interior, the dressing table features an in-built mirror with metallic hinges. The sleek design lends itself well to modern interiors where the beautiful finishes become the focal point. Upholstered in the highest-quality Pelle or lacquered leather, the Reko dressing table showcases the artisanal craft and precision that is poured into every Rugiano piece. Combining form and function, the dressing table includes four fitted drawers with quilted leather detailing and hand-stitching. The drawers are finished with bronze or steel diamond shaped handles for a luxurious touch. A versatile dressing table for both chic and traditional interiors, use to store and display your favourite beauty products, perfume and skincare. Available in a wide selection of finish options, make an enquiry for more information.